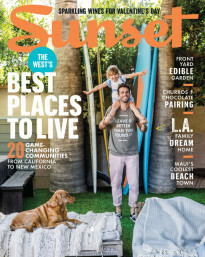 This coleslaw has long been a favorite with Sunset readers, and it’s a staff favorite too. 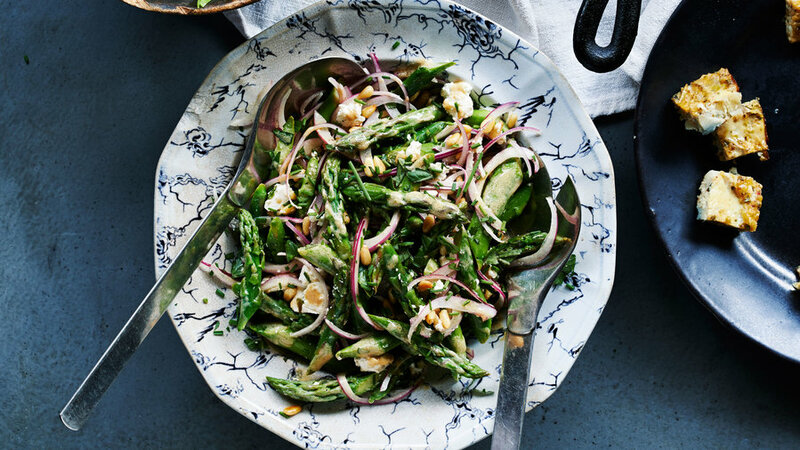 We love the combination of crunchy vegetables, peanuts, and herbs tossed with creamy soy dressing. 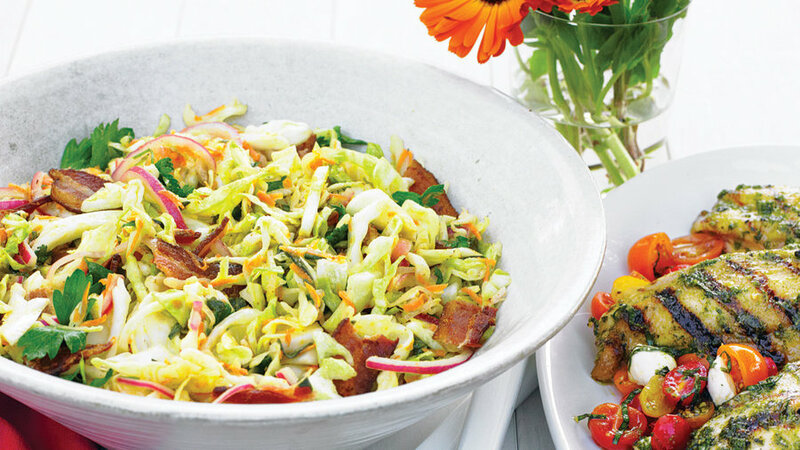 This wonderful slaw takes advantage of the flavors of traditional warm German-style potato salad. 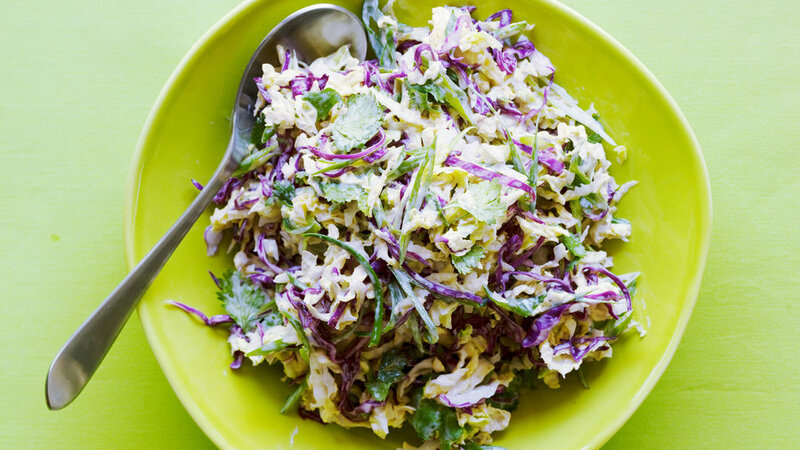 Cabbage makes it lighter and just right for backyard barbecues and summer potlucks. 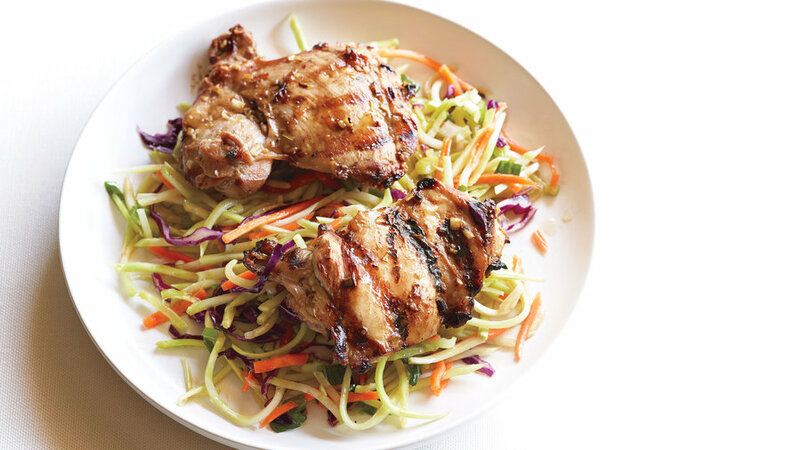 Non-fat Greek yogurt gives you coleslaw that’s light on calories but not on flavor. 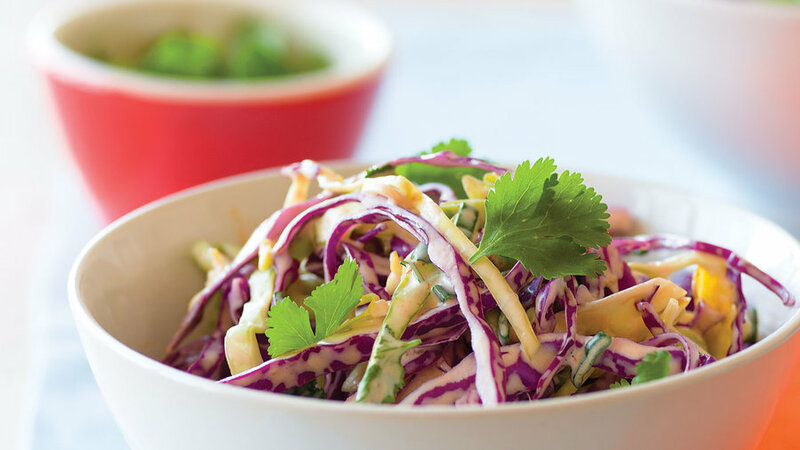 Chipotle chile and cilantro make this spicy slaw a great addition to your next Mexican menu. 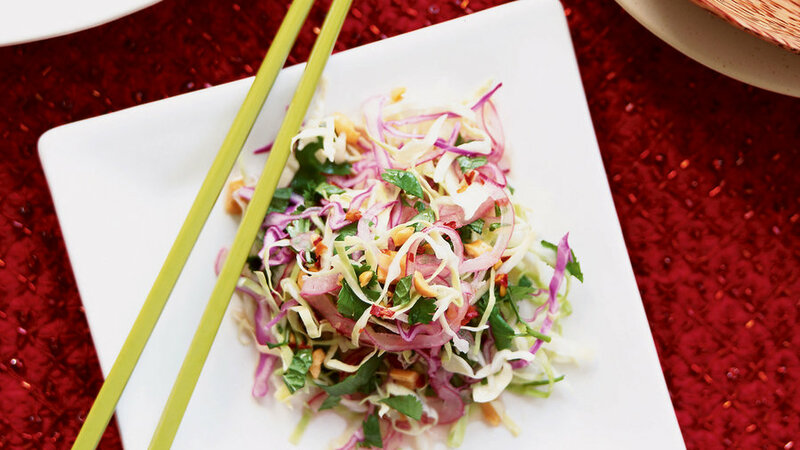 Cookbook author Andrew Nguyen shares her recipe for Vietnamese-inspired coleslaw. Cabbage slaw is also great served warm. 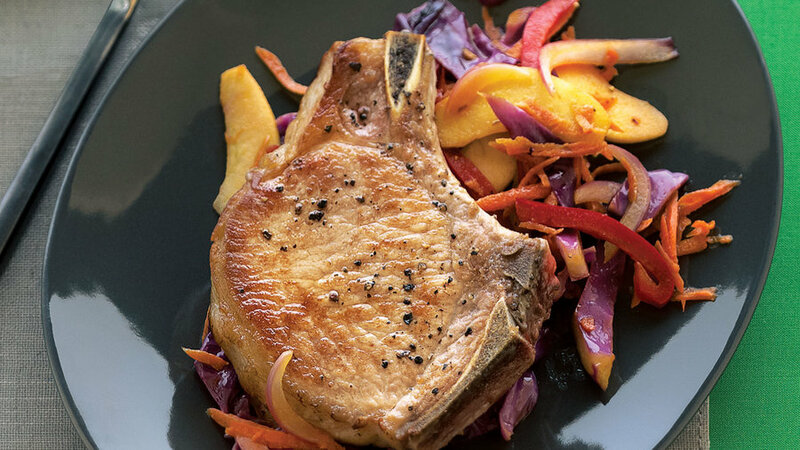 The pork chop cooks in the same pan as the slaw for easy cleanup. Two types of cabbage, peanuts, and red bell pepper bring color and texture to this sweet and savory slaw. 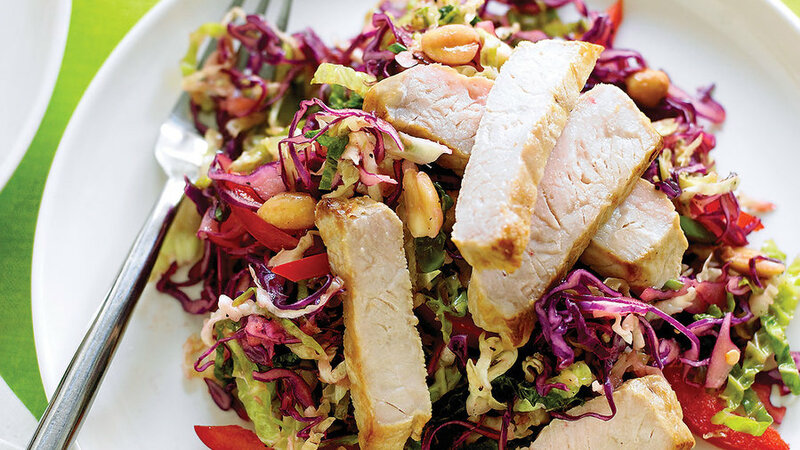 Fresh herbs and lime juice bring clean, bright flavors to this slaw. Cabbage may be the vegetable most often used in coleslaw, but easy-to-find packaged broccoli slaw is delicious too. 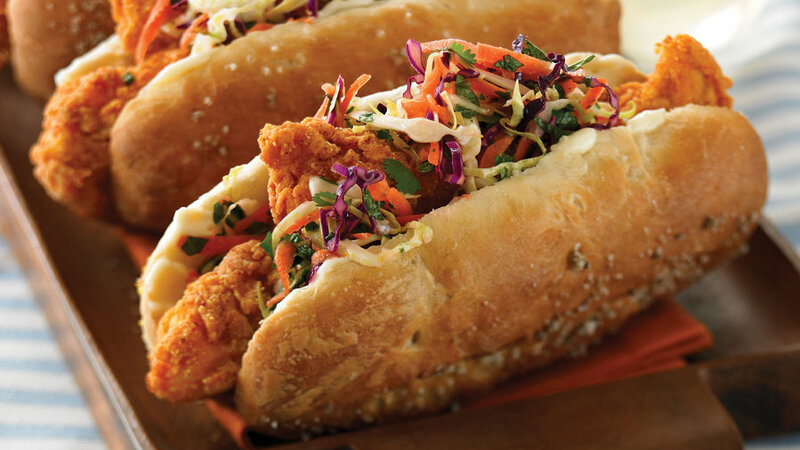 Bonus: Your slaw will be loaded with vitamins A and C.
Spicy, herb-laden slaw and crisp fried chicken come together for a perfect sandwich. 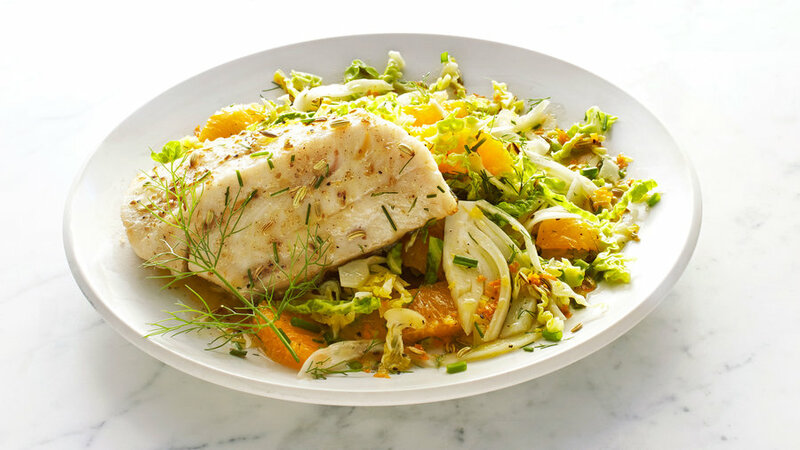 Orange and fennel are a natural combination and a make an excellent addition to this simple, citrus-dressed slaw. 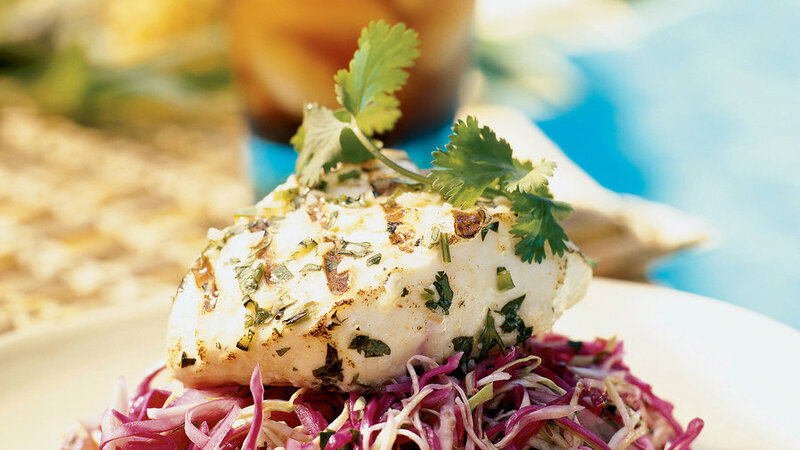 Coleslaw is tucked inside most fish tacos. That’s why we think it’s great piled high and topped with a piece of perfectly grilled fish.